I have already written on the Government’s atrocious ‘deal’ with the EU. The Withdrawal Agreement and the ‘Political Declaration on the framework for the future relationship’ would shackle this country and have nothing to commend them. The indications are that the House of Commons will reject the ‘deal’ on 11 December, when the ‘meaningful’ vote is due to take place. One can only hope so. If it is voted down, the default position would be No Deal, trading under World Trade Organisation (WTO) rules. If the Parliament wished (for example) to have a second referendum and/or postpone Brexit then enabling legislation would have to be passed – before 29 March 2019. Time is running out. There are still voices suggesting there is scope for renegotiating our ‘deal’ with the EU before Brexit, to be nearer a Canada-style relationship for example. But the politics suggest this is simply not on the cards, and has not been for many months. Realistically, there are two clear choices: the ‘deal’ as agreed by the EU on 25 November and No Deal. If indeed the ‘deal’ is voted down, then we must, we really must, start preparing for a managed No Deal, trading under WTO rules. We must start to make a strong, positive case for it. And there is a strong, positive case. No Deal basically refers to the absence of an agreed trade agreement, prior to Brexit Day. 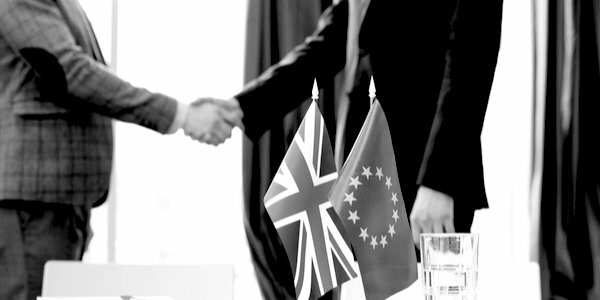 It does not imply the UK and/or the EU would make no mutually beneficial contingency arrangements concerning issues such as aviation, road transport, visas, residency, passports and customs. Yet I have heard some commentators, doubtless mischievously, suggest that planes, for example, would be grounded unless there is a ‘deal’, implying an all-encompassing agreement such as the Withdrawal Agreement. Clearly, a No Deal outcome has to be prepared for. It has to be ‘managed’. It would be the height of negligence if the British Government and/or the EU failed to be fully prepared. It is important to realise that both the UK Government and the EU have made progress on this score. The British Government launched its No Deal guidance notes in August and 106 notes, according to my calculations, have already been released. They cover a very wide range of issues including driving and transport, farming and fishing and importing and exporting (including Customs). Given the increasing possibility of a No Deal outcome, it is incumbent on the Government to ensure these notes cover all bases, and other necessary administrative arrangements are fully operational by next March. The European Commission, meanwhile, has already issued nearly 80 ‘Brexit preparedness notices’, covering a wide range of topics including financial services, transport and health and food safety. In addition, the Commission has recently released its Contingency Action Plan ‘in the event of a no deal scenario with the UK’, to minimise possible disruptions for the EU’s citizens and businesses. The Commission’s priority areas were residency and visa-related issues, financial services, air transport, customs, sanitary/phytosanitary rules, the transfer of personal data, and climate policy. It is in the EU’s interests, as well as ours, that the planes still fly. Given the agonies in negotiating the Withdrawal Agreement and Political Declaration, one could be forgiven for believing that trading under WTO rules is to be avoided at all costs; that trading outside the comfort blanket of the Customs Union and the Single Market would be very uncomfortable indeed. Incidentally, I believe that the supposed difficulties of trading outside the EU’s Customs Union have been grossly blown up out of proportion in the negotiations. In reality, nothing could be further from the truth. Trading under WTO rules is not a matter of ‘falling off a cliff’ into the abyss. On the contrary, it is, for much of UK and international trade, quite normal. The UK already conducts more than 55 per cent of its export trade with non-EU members, primarily under WTO rules, and the proportion is rising. Even if allowance is made for those non-EU countries that have preferential trade deals with the EU (which may not immediately carry over on Brexit), about half of our exports go to the remaining non-EU countries. There is no doubt that UK exports to non-EU countries have grown more quickly than to EU countries in recent years. Total exports over in the period 2007-17 grew by over 60 per cent, whilst exports to the EU and the non-EU expanded by around 40 per cent and 80 per cent respectively. Given that the EU is a relatively sluggish and saturated market, this is wholly unsurprising. Commercial opportunities drive trade rather than the supposed allure of the EU’s Customs Union and Single Market. Moreover, we shall, of course, continue to have ‘access’ to EU markets under WTO rules, as the US has ‘access’ to EU markets now. Similarly, EU exporters would continue to have ‘access’ to the UK market, which is good news for them as they had a visible trade surplus of £95billion with the UK in 2017! The WTO’s rules really are comprehensive, tried and tested. Three points, in particular, need making over and over again. The first point concerns the UK’s membership of the WTO. We are members and we will continue to be members. In October 2016 Roberto Azevêdo, the Director General of the WTO, made this very clear. He said: ‘The UK is a member of the WTO today, it will continue to be a member tomorrow. There will be no discontinuity in membership. They have to renegotiate [their terms of membership] but that doesn’t mean they are not members. Trade will not stop, it will continue and members will negotiate the legal basis under which that trade is going to happen. But it doesn’t mean that we’ll have a vacuum or a disruption.’ He could not have been clearer. Secondly, disciplined rules based on the principle of non-discrimination are at the heart of the WTO’s trading regime. Concerning tariff barriers for goods (services do not have tariffs), WTO members must not treat any member less advantageously than any other, unless they form preferential trade agreements or customs unions. Concerning non-tariff barriers for goods, the WTO’s rules limit the circumstances in which they can be applied. A country cannot discriminate against exporters on product standards, for example. Once a ‘domestic’ standard has been imposed, it must be generalised to foreign countries’ exporters. This is especially relevant as the UK will be compliant with the EU’s standards on Brexit Day. Turning to services, the WTO’s General Agreement on Trade in Services (GATS) also operates on the principle of non-discrimination. Outside preferential agreements and restrictions on market access must be applied uniformly across all countries. Any trade disputes, whether for goods or services, between member states are dealt with by the WTO’s Dispute Settlement System (DSS). Thirdly, the WTO has made huge strides in facilitating trade across customs borders in recent years. Under the landmark Trade Facilitation Agreement (TFA), developed countries with adequate resources are expected to install state-of-the-art border systems in order that trade should not be impeded. Most countries now permit traders to submit their customs documentation electronically in advance of the goods arriving at the border. Virtually all submissions of the EU’s own Single Administrative Document (SAD), for declaring imports and exports, are now made online, for example. This means that most trade arriving from countries that are members of neither the Single Market nor the EU Customs Union suffer little or no hold-up at the border when entering the EU. There is no reason for this to change after Brexit. Streamlined, computerised borders are the norm. Finally, a No Deal, trading under WTO rules, unequivocally delivers Brexit. We would be outside the Customs Union and the Single Market and our institutions and laws would be supreme. It is liberating. We would, moreover, be free to use the new economic freedoms to give the economy a real boost. Outside the Customs Union, we can negotiate our own trade deals with fast-growing and friendly countries. Indeed, we would be an excellent position to negotiate a Free Trade Agreement with the EU – in a much better position than envisaged by the Political Declaration. We can also cut tariffs, for example on foodstuffs, to benefit consumers. Outside the Single Market, there is scope for regulatory modernisation and reform, to give businesses a lift, and our immigration policy can be adapted for the social and economic needs of the country. These are the economic prizes of Brexit, primarily why I voted to leave the EU. But they are largely blocked by the truly appalling Withdrawal Agreement and its unlovely sibling, the Political Declaration.